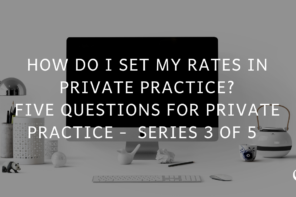 In this episode, Joe Sanok speaks about why it is important that you blog when starting a private practice. Blogging helps you rank higher on Google and connect with your ideal client. Blogging is an important skill to acquire. A blog post should take 30-40 minutes at the most. Think about SEO (search engine optimization) – what do you want to be ranking for? 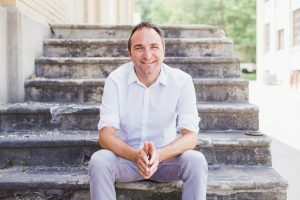 Joe Sanok: This is the Practice of the Practice Podcast with Joe Sanok, session #269. [MUSIC] [INTRODUCTION] Joe Sanok: We are coming to the end of our series that’s all about starting a practice and wanted to cap this thing off with talking about blogging. But before we go too far if you are just joining us first let me say, welcome to the Practice of the Practice Podcast. I’m so excited you are here. It’s so exciting to get emails from people or hear from people or read reviews of people that just discovered the Practice of the Practice Podcast or the website and to hear people excited about seeing my monthly income reports or all the different things that we are creating for you. Really, we want to be a guide to you to help you start, grow and scale your counseling practice and even more than counseling, we are getting more massage therapists, doctors, attorneys, people that have practices and small business that are applying. Well, we are talking about well beyond the counseling fields. So, so glad you are here. Hope you check us out for a little bit longer. 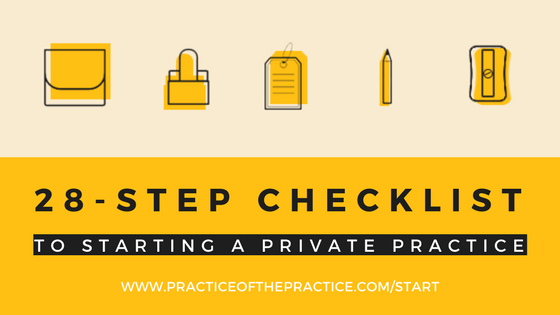 if you are just starting a practice, thinking about starting a practice, if you are in grad school, if you launch one last year or so and you want to make sure you did that right, I want you to go over to www.practiceofthepractice.com/start. We have put together a all-inclusive course that’s going to send you paced out emails that really help take the anxiety and worry out of private practice, so that you know that you are doing it right, that you know you are using the tools that we recommend, the tools that we have tested with thousands of other therapists and that really has sped things up. And we are constantly updating them. So for example we used to recommend LegalZoom and now we recommend Swyft Filings, and that’s all because of a friend of mine. He went through LegalZoom and then stopped and found Swyft Filings, and now we recommend that. 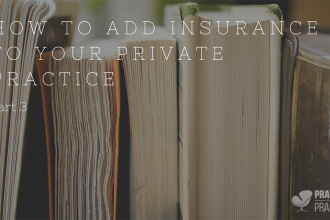 So if you are filing your legal paperwork, you head over to www.practiceofthepractice.com/llc and we give those updated tips on a frequent basis. So you can save a bunch of time. You are not googling around and wondering what are the things that the people are using and liking. And so you are going to get those paced out emails. You are going to get a 5-minute video walking you through exactly how you can assess your current area and how you can rank higher in Google locally and kind of what the competition is doing. Then you also get our 28-step checklist. It’s really meant to be the ultimate kickoff guide for you and it’s a 100% free. It’s our way of helping you launch and we know that when you are launching and starting, it’s really hard sometimes. So again, www.practiceofthepractice.com/start. [BLOGGING TIPS AND ADVICE] So today, we are talking about blogging and let me talk a little bit about why we are talking about blogging. Then we are going to talk about what gets in the way of blogging. Then we are going to talk about somehow to tips to really stay inspired but blog quickly because your time is valuable. 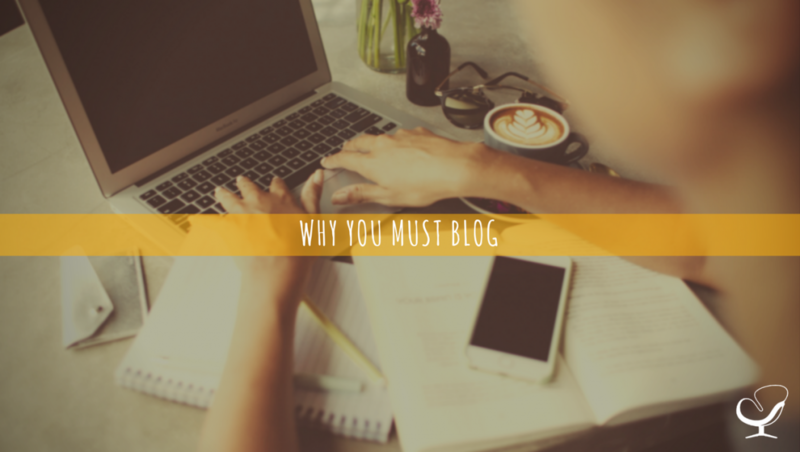 So why should you blog. Well, most of us know that we should blog because it helps us rank higher in Google, but it also helps us connect with our ideal client. But even more than that I think what’s important about blogging is you’re learning how to take what’s in your brain and make it into something that the public can consume. Now this skill is going to help you whether you want to continue blogging, if you want to do a podcast, if you want to do more public speaking. There’s all these things that taking what’s in your brain and pulling it out into a well-organized thought is really going to help you. And so it’s a muscle that I want you to be building because I want to see you all continue to go to the next level. I see people every day that go from the startup phase to the growth phase and they do that faster because they go through our steps. Those people that join then the Mastermind groups are doing one-on-consulting with Alison in that growth phase. They get to their six figures faster. And those that are scaling that are in my Mastermind group come to slow down school and we work together, those folks move through it faster because they are learning what that next level is doing. Blogging and taking what’s in your brain and pulling it out is one of those big skill sets. It’s like doing burpees or crunches or all the different things that help you physically, except it’s going to be really working that muscle. [BLOGGING CHALLENGES] So what gets in the way of people blogging? Well, first I think there’s just the technology side of things that people aren’t sure how to do it. So if you have WordPress it’s super easy-peasy. Just go to posts and you start blogging at your categories and if you are not sure how to do that, we have got a blogging course. We have got a number of different things that can help you with that. Even asking around in Facebook groups and people are more than willing to show you how to do that. We actually have a bunch of free videos over on our YouTube channel that will walk you through just those tutorial type things of how do you post a video, how do you embed a video, how do you add images – all those things in regards to blogging. So I think that’s the text side. Once we get through the text side, I think there is the kind of perfectionistic side. When we were in graduate school… when we were in school in general, kindergarten through grad school, we usually work on a paper, we work on a project, and then we do the presentation or we turn it in and then we are done. And then that professor says, you know what, you got a B, you got a C, you got a A++. So are used to doing a project and then passing and failing. As well, throughout all grad school we hear, you know, APA or we hear citations. Where did you get this information, this data, this research. Can you prove it? Don’t plagiarize. Those are all good things, but when it comes to blogging, we kind of have to throw some of that out because the things that you know in your brain sometimes you don’t know where those sources are and later on you will have to circle back in and add those sources. So it’s not a research paper that’s going to go into the ACA publications or the APA publications. These are things that are for the general public. And you do your best. And you do kind of what you know that you can do, but that perfection and wanting to do it perfect slows you down and also sometimes paralyzes you from just getting things done. Next, what stands in the way of people blogging, I think, is often not seeing the ROI, the return on investment of that time. And so I want to do a little bit of math with you and this is something we have done before on here, but I think it’s important to go back to. So say you write 26 blog posts and say that actually takes you two hours per blog post. So takes quite a bit of time. And so you do 26 blog posts, 2 hours each, that’s 52 hours of time that you spend writing 26 blog posts. So weekly blog posts that goes out on your website over half a year. Now, say you are charging, let’s say, $125 per session. All right, say 52 hours, that’s about $6500 worth of lost time. So if you’re [00:07:09.04] if you could have filled those hours which you know when you are first starting you often can’t and so you have that time anyway. So that’s $6500, so we kind of have to justify. We have to say is there return on investment for that time that I could have been seeing people? Now, let’s think about your average session. So take that 6500 and we can write that down. Now say your average person when we do the Math comes 4.5 times and we are going to multiply that times 125 per session. So that means that they are worth $562.50. So that person’s financially worth that much. That’s so much a new client is worth to you. So if take that $6500 and we divide that by $562.50 that means that because of those 26 blog posts, we would need a 11.56 clients to come in as a result of those. Now, do we think that 26 blog posts are highly focused on SEO, on ranking high in Google, connecting with your ideal client? Do we think that over the years to come that will get at least a 11 or 12 people that say wow, that’s amazing work. I want to see her. Or wow, that was really a well written anxiety article or that TED talk that you embedded here and then talked about was really inspirational. Is that going to be an ROI – return on investment – at that time? And I would say more times than that the answer is yes. And we will talk about why in a minute. I think the last thing that I see really stands in the way of people blogging is they are scared to get too personal, that if they’ve especially been through their own trauma or been through their own issues or their own counseling. They are scared to disclose that because they don’t want their clients to know that. So I would say start keeping track of the stories that you wouldn’t mind your clients reading. You don’t have to talk about getting physically abused as a kid or you don’t have to talk about a sexual assault or something like that. You talk about the things that loosely relate. When did you felt anxious? Where you at Disney World and you were in this line and felt like you couldn’t get out? What are the things that are stories that you don’t mind sharing. [HOW TO BLOG QUICKLY] So those are reasons that people don’t do it – the technology, perfection, ROI, scared to get too personal. Now let’s talk about how do you do it and how do you do quickly because we want to make sure that you really are optimizing your time. I want to see your blog post take between 30 and 40 minutes at most. [00:09:34.09] really brainstorm in your car, you have an idea of this, and then boom. You knock out that blog post and even more than that we multipurpose things which is a whole different level. So, first you can go and google and start to type in your specialty area. So say you help people with depression. You can start typing in depression on Google and it’s probably going to start to auto fill the things that are most searched around that. So if it’s depression, it might say depression symptoms, it might say depression treatment, it might say depression medications. So those are all blog post ideas that you could talk about. So if you’re talking about medications you don’t prescribe, you may want to say from the front end, “I don’t prescribe, but I think it’s good to understand the medications that are out there or you may say here’s some symptoms. So it’s going to really give you some ideas of what you can blog about, but also what people are looking for and searching for in your area. Another tactic is to go on to other websites and see what they are writing about, then give kind of your perspective. And so you might go on Huffington Post or NPR or BuzzFeed and find some different articles or research that they are talking about, and then give your own angle. I am sure that you’ve had it happen. A party where someone knows that you are counselor. They hear about something that’s happened and they ask your take on it. Think about a blog post as a way to give your take on something that’s happening on pop culture. Next thing that you can do in regards to blogging is to think about what you’re repeating over and over in your counseling sessions. And so if people were to read a five part blog series before they came in what would make their counseling more effective. So for example, if someone is dealing with panic attacks what are the five things that you tend to cover. And if you are dealing with kids that are having behavioral issues, you know maybe you talk about sleep and the importance of having [sound 00:11:22.04] sleep as a kid and why it’s good for the brain. Maybe you are talking about healthy low-carb diets, maybe you are talking about exercise or lack of [screen 00:11:29.00] time or being over scheduled – whatever your things are that you cover over and over and over with parents or with your clients. Turn those into blog posts and then you can have… in a session, you could say to someone, you know, we just talked a lot about sleep in your kids and I actually have a blog post that I can email to you that I wrote. I think it goes even deeper and gives you some tips I think are going to really help you. That adds value to your sessions as well. Okay, so we had kind of google, getting inspired from other sites, repeating things, and then thinking about SEO. Search Engine Optimization. What do you want to be ranking for? So do you want to be ranking for depression, panic attacks, behavioral issues… what is it that you want to rank for and writing a bunch of articles around that. And then linking those articles together based on those key words. So don’t say say I wrote another article about this. If you wrote an article that’s about symptoms of a panic attack, then link that term, that’s called anchor text – symptoms of a panic attack – highlight that, click the link thing, and then have that link over to the other blog post. That’s going to build the amount of internal links… oh, right. My timer is going off, which is something I do to make sure I get a lot done because I have a session starting in 12 minutes and I want to make sure that I get this podcast done in time. Right. Next, you always want to be kind of changing up different aspects of the blog. And so looking at the things that are growing within your website, looking at the analytics, and replicating what’s already been working. Next, also watching some TED talks and embedding those in and then talking about those or other videos that are trending on YouTube. That’s another great way to do a blog post. So for example if there’s some funny video going around about parenting, writing three to five tips about parenting as a response to the that video. And then the last one [00:13:25.23] numbers kind of blog post. So seven tips to help reduce depression, five ways to reduce a panic attack. Those are all kind of great, quick hit blog posts. [ENDNOTES AND LINKS] So, there are some quick ideas as well over on Practice of the Practice. We have a blog post that’s all about blog posts. We have five templates on there of the types of blog posts that can really help you get inspired. We have an authoritative guide to blogging and so we will link to that in the show notes. You can just go and type in, authoritative guide to blogging on Practice of the Practice, and don’t forget to sign up for that free email series that’s all about pacing out how you start a practice, that 5-minute video and your 28-step checklist. That’s over at www.practiceofthepractice.com/start. And then in the next episode, I am going to share with you a project that we are working on in developing and I would for you to be a part of it, especially if you are starting a practice. It’s something that is really in the infancy right now. But I want to share with you what we are dreaming about and also a way that you can get involved. So thanks for letting me into your ears and into your brain. Have an awesome day and I will talk to you soon.